He allegedly tried to smuggle arms into a government-controlled territory. 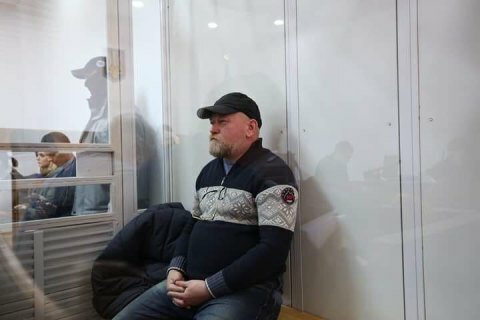 The head of the Office Corps Centre for Prisoner Release, Volodymyr Ruban, was detained at the Mayorsk checkpoint on the line of contact in Donbas as he was trying to enter the government-controlled territory.According to Deputy Minister for Temporarily Occupied Territories Heorhiy Tuka, an "entire range of arms hidden in furniture" was found in Ruban's car. Prosecutor-General Yuriy Lutsenko said that his detention was "not by chance". Army support volunteer Myroslav Hay said that Ruban "appropriated the general's rank and was involved in planting FSB agents disguised as prisoners in Ukraine". "He played a negotiator's role in this," he said. The Security Service of Ukraine (SBU) banned Ruban from visiting the self-proclaimed Donetsk People's Republic in early March 2017 after he and MP Nadiya Savchenko visited a penal colony in occupied Makiyivka. Ruban then told the press that he went there to negotiate a release of hostages whereas in his formal application for a visit he said he was going to check on his mother-in-law's flat. On 8 March, Ruban was taken to Mariupol's remand centre.